Sage has high content of volatile oils, notably rosmarinic acid. Research has suggested that the presence of volatile oils in Sage is largely responsible for most of its properties. 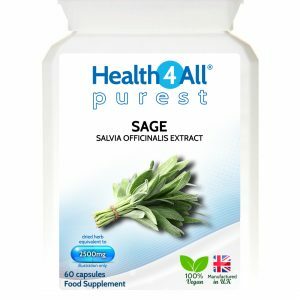 Each capsule provides Sage extract to deliver equivalent of 2500mg dried herb. 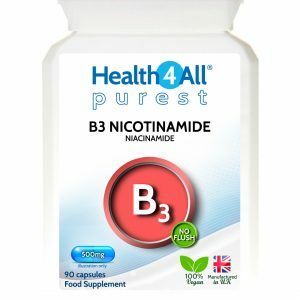 Nicotinamide (or Niacinamide) is the amide form of vitamin B3 – Nicotinic acid (Niacin). This form does not have the vasodilating action of niacin (and no niacin flush) and acts differently. 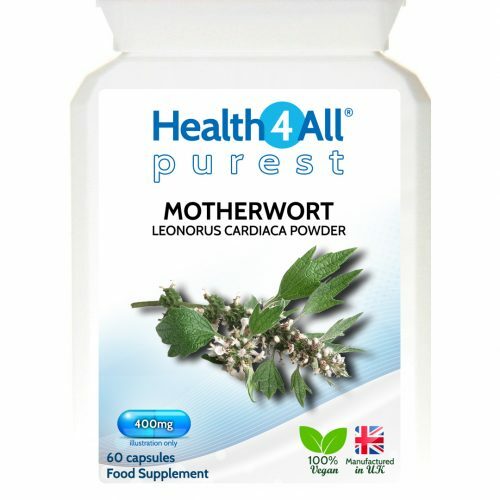 Each capsule contains 500mg of this beneficial vitamin. Magnesium (Mg) is the fourth most common mineral found in your body. It plays a part in my many aspects of good health. Magnesium contributes to: a reduction of tiredness and fatigue, electrolyte balance, normal energy-yielding metabolism, normal functioning of the nervous system, normal muscle function, normal protein synthesis, normal psychological function and maintenance of normal bones and teeth. 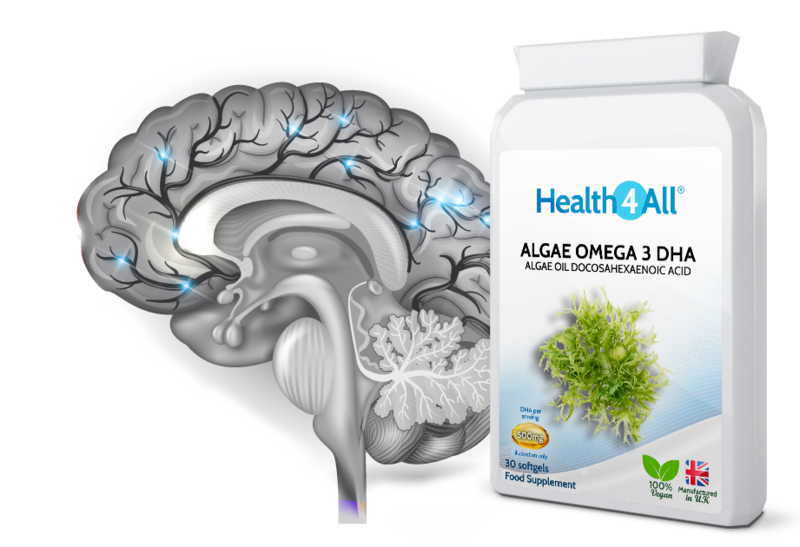 Each capsule provides 75mg of elemental magnesium (20% NRV) as easily absorbable magnesium citrate. 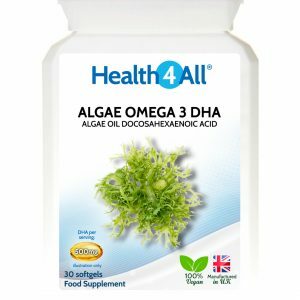 One-a-day Multivitamin & Mineral tablets to help ensure optimal intake of vitamins and minerals. 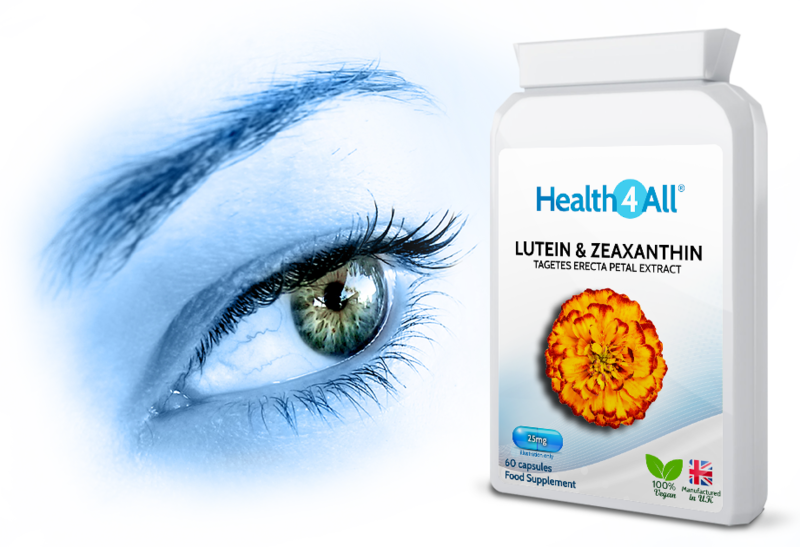 Taking one Multivitamin & Mineral tablet a day will contribute to the reduction of tiredness and fatigue, maintenance of normal vision, normal heart function and circulation, as well as to normal function of the immune system, normal nervous system functions and mental performance. Each tablet provides 100% NRV (Nutrient Reference Value) of vitamins: A, B1 (thiamine), B2 (riboflavin), B3 (niacin), B5 (pantothenic acid), B6 (pyridoxine), B7 (biotin), B9 (folic acid), B12 (cobalamin), C, D, E, Iron, Iodine and provides Calcium and Zinc. L-Theanine is amino acid found in green tea (Camellia sinensis plant). It is believed this amino acid is responsible for many green tea properties. 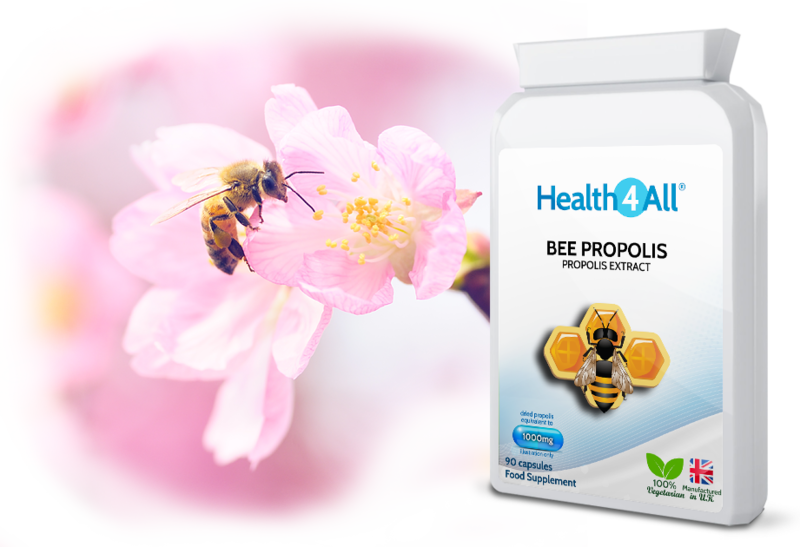 Each capsule provides 200mg of L-theanine with one of the highest 99.4% assay. 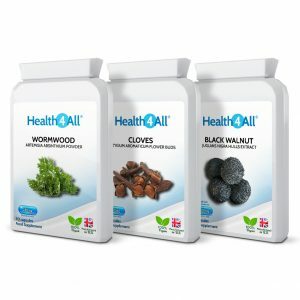 Tasteless and odourless Wormwood, Black Walnut and Cloves capsules. This combination has been used for centuries. Cloves: contain a compound called eugenol. Black Walnut Hulls: contain juglone and tannins. Wormwood: contain alpha and beta thujone. For the best effects, Cloves should be taken before Black Walnut and Wormwood. Well researched for use in sports, alone or along Carnitine and protein powders. Bilberry, Vaccinium myrtillus, contains vitamins belonging to the anthocyanins group. Our food-grade Cassia oil has been filtered to remove its bitter taste and leave only the delightful cinnamon flavour. 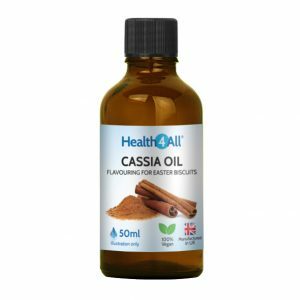 Cassia oil is an essential ingredient for traditional Easter biscuits. Supplements combination to support die-off reaction in parasite and candida cleanse programmes. Allium sativum, or garlic, is undoubtedly a great health tonic. It has a history of human use going back 7,000 years. Garlic is rich in the compound allicin. It also contains thirty-three sulphur-rich compounds. Each softgel provides odourless extract from Garlic oil, standardised to 3% allicin. 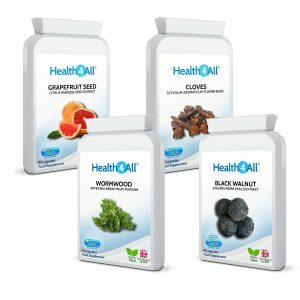 This is a unique formulation based on the results of scientific studies in the field of nutrition. 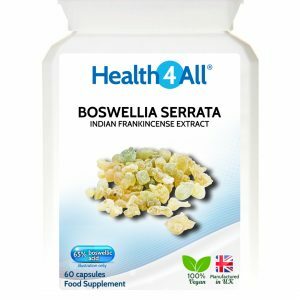 It comprises natural MSM, Horsetail Extract, Coenzyme Q10, Biotin, Copper, Vitamins B1, B2, B3, B5, B6 and B12, C, D3, E, Citrus Bioflavonoids, Selenium and Zinc. We’ve selected them with care to work in harmony for maximum benefit. 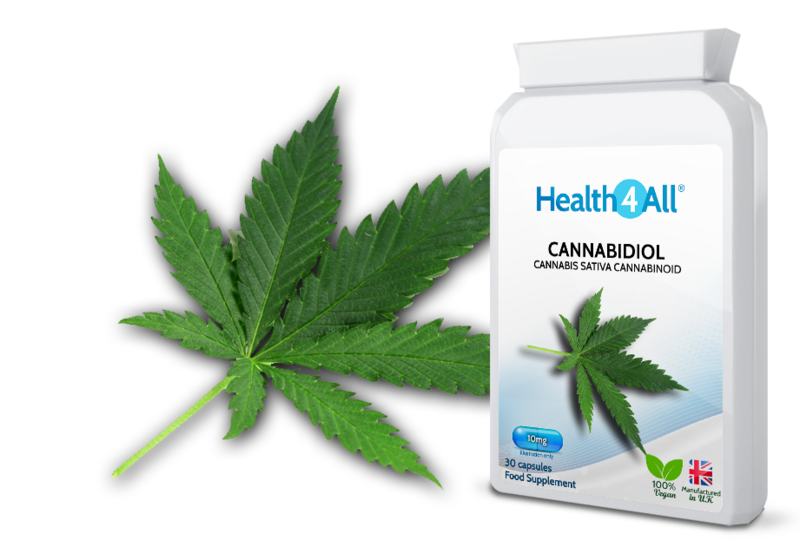 A pack of sixty vegetarian capsules provides a two-month supply. The vitamin B complex comprises eight B vitamins: B1, B2, B3, B5, B6, B7, B9 and B12. These essential nutrients keep your body running well. They help to convert your food into fuel helping you to stay energized throughout your day. The vitamins in this complex work in combination with each other. 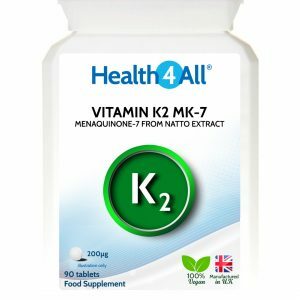 However each B vitamin also has specific benefits. Selenium is an essential trace mineral popularly termed the “miracle mineral” – and with good reason – for it boasts many health protection benefits. 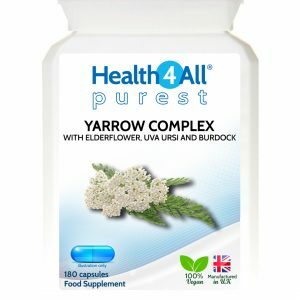 Together with Vitamins A, C and E it acts as antioxidant to protect the cells from oxidative stress with additional benefits to the immune system, thyroid function and skin and nails health – to name a few. Each tablet provides 220µg of Selenium – 400% NRV (Nutrient Reference Value) and 100% NRV of vitamins A, C and E.
One-a-day multivitamin tablets to help ensure optimal intake of vitamins. Taking one Multivitamin tablet a day will contribute to the reduction of tiredness and fatigue, maintenance of normal vision, normal heart function and circulation, as well as to normal function of the immune system, normal nervous system functions and mental performance. Each tablet provides 100% NRV (Nutrient Reference Value) of vitamins: A, B1 (thiamine), B2 (riboflavin), B3 (niacin), B5 (pantothenic acid), B6 (pyridoxine), B9 (folic acid), B12 (cobalamin), C, D and E.
Together with Vitamins A, C and E it acts as a powerful antioxidant to protect the cells from oxidative stress with additional benefits to the immune system, thyroid function and skin and nails health – to name a few. 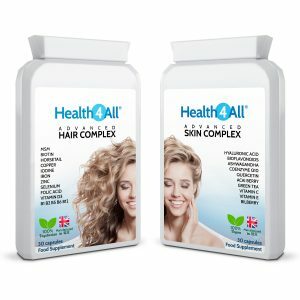 Each tablet provides 110mg of Selenium – 200% NRV (Nutrient Reference Value) and 100% NRV of vitamins A, C and E.
This excellent combination has been designed to provide: Calcium, Zinc, Magnesium, Boron and Vitamin D.
Ideally balanced nutrients to provide nutritional support of bones, hair, nails and teeth. Magnesium also contributes to the normal functioning of the nervous system while Zinc contributes to the normal function of the immune system. One-a-day Multivitamin & Iron tablets to help ensure optimal intake of vitamins and Iron. Taking one Multivitamin & Iron tablet a day will contribute to the reduction of tiredness and fatigue, maintenance of normal vision, normal heart function and circulation, as well as to normal function of the immune system, normal nervous system functions and mental performance. Each tablet provides 100% NRV (Nutrient Reference Value) of vitamins: A, B1 (thiamine), B2 (riboflavin), B3 (niacin), B5 (pantothenic acid), B6 (pyridoxine), B9 (folic acid), B12 (cobalamin), C, D, E and elemental Iron. Cookies are widely used in online advertising. Neither us, advertisers or our advertising partners can gain personally identifiable information from these cookies.